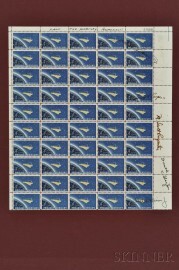 Astronaut Signatures; Signed Sheet of Project Mercury Stamps. 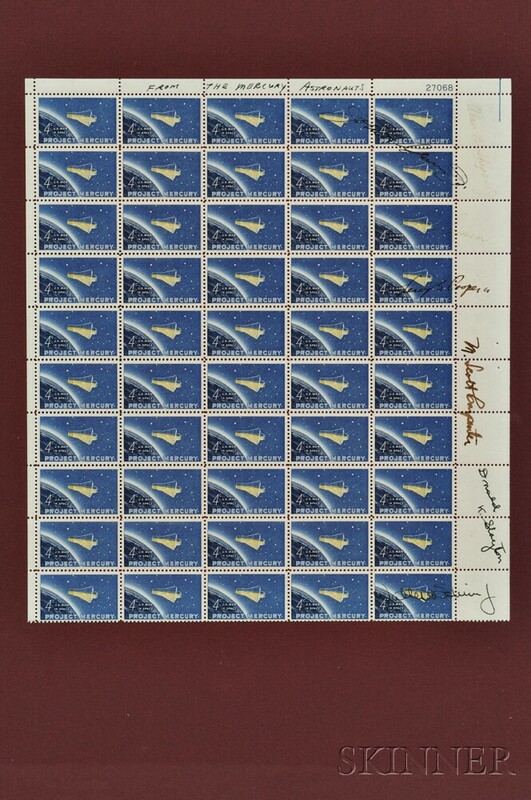 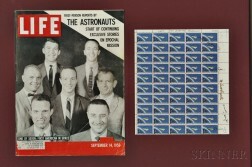 Single sheet of fifty four-cent stamps, signed by Malcolm Scott Carpenter (1925-2013); Leroy Gordon "Gordo" Cooper, Jr. (1927–2004); John Herschel Glenn, Jr. (b. 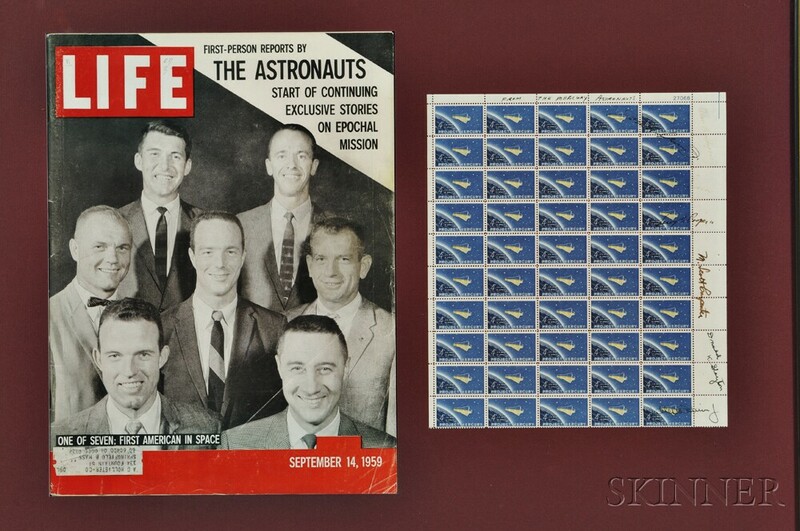 1921); Virgil Ivan "Gus" Grissom (1926-1967); Walter Marty "Wally" Schirra, Jr. (1923-2007); Alan Bartlett Shepard, Jr. (1923-1998); Donald Kent "Deke" Slayton (1924-1993); some signatures faded (Shepard and Grissom), matted, with a copy of Life magazine feature the same men, 9 x 10 in.